Happy Smithereens! 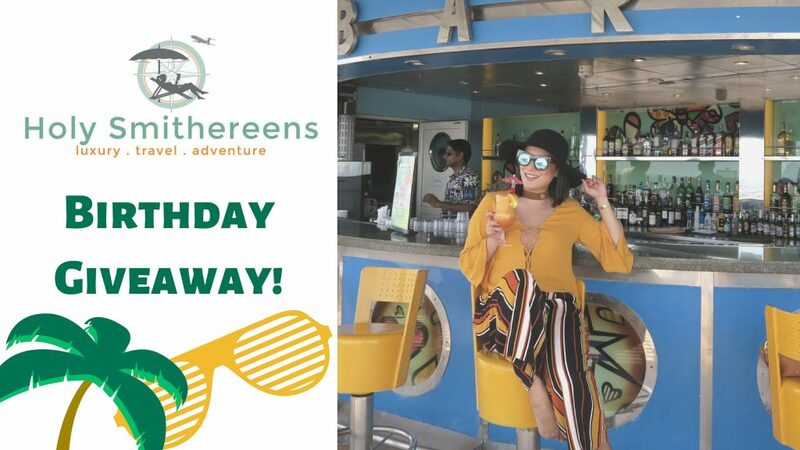 - Turning a Year Older and a Birthday Giveaway! - Holy Smithereens! Happy Smithereens! – Turning a Year Older and a Birthday Giveaway! Holy Smithereens –I can still clearly remember the time, not too long ago, when I classified being 35 and above as a “raisin age”. Brown, wrinkly, and not too exciting. And here I am, turning 38 in 24 hours. I’m still brown, I’ve invited more wrinkles and crinkles to the party, and some liken my life to a choose your own adventure (and doomsday) gamebook. When your life is like real-life Amityville, turning 38 can be such a thrill! Age is not just a number. Turning a year older is a privilege denied to many. Lately, I have unfortunately been surrounded by news of people within and connected to my circles passing. When you dread getting older or even hide your age, I feel you are not being grateful for the gift that for some is like a rug that gets rudely swept off their feet. You’re still cruising in that rug. Be happy and proud. And because I’ve been given another year of shenanigans, I decided to throw a little birthday giveaway. I also would like to honour my alter ego – Holy Smithereens. I have been through a lot the past couple of years and HS really has been my staunchly steady companion that helped pull me through. And most of all – to all of you who have been following me, my travels, and all the tomfoolery. THANK YOU. Ok, without further adieu, here’s the giveaway. There are two items. One winner each. One item is open to all entrants worldwide. The second item is for entrants from the USA. These items will surely help you on your next travels! I am giving away a pair of designer sunglasses (Prada) from VisionDirect. This is open to all WORLDWIDE. 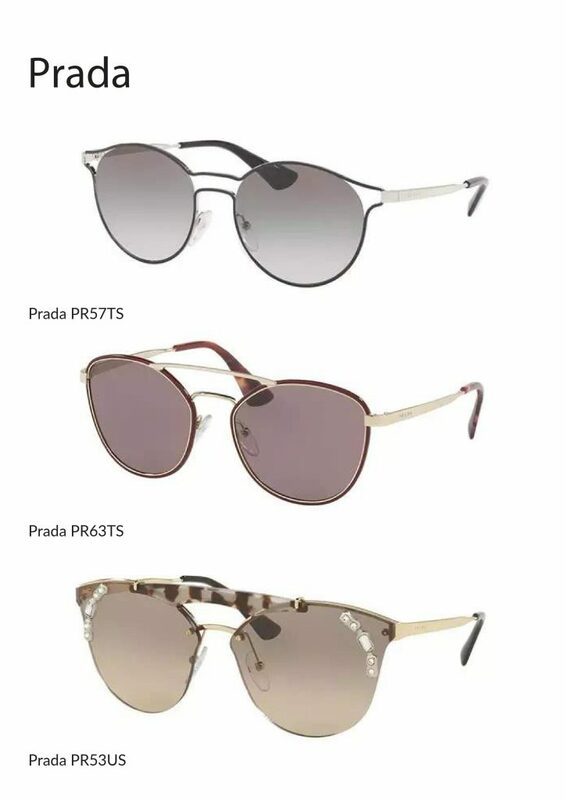 The winner will be asked to choose one pair from the following Prada sunglasses. This will all depend on availability of course. 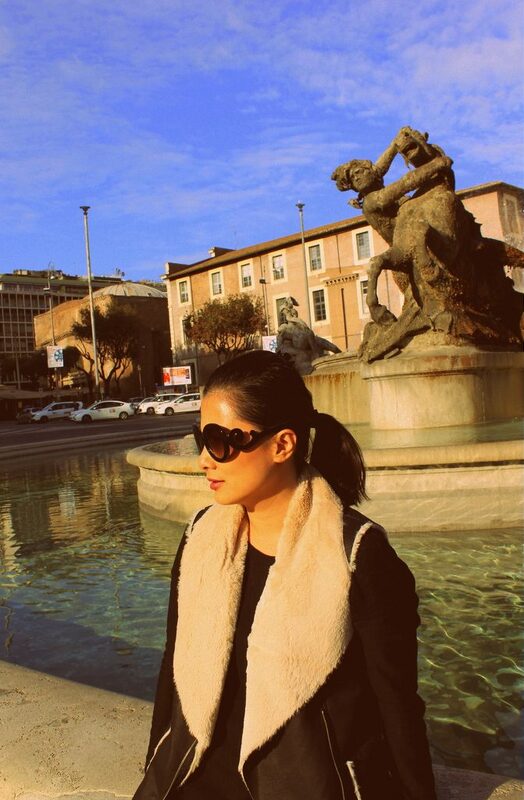 The devil wears Prada, and indeed I find that my pair of Prada sunglasses are one of the best to take travelling with. It’s big, stylish, and offers a lot of sun protection. The devil herself in Prada sunglasses. Rome. Buying sunglasses online is very tricky. And the reason I partnered with VisionDirect is how they made online shopping for sunnies so easy and convenient. They have a virtual try-on site that actually looks realistic and not like a snapchat filter. And apart from carrying top designer brands, they also have a 2-year warranty that comes with every purchase. This is very helpful when you travel with your sunnies a lot. 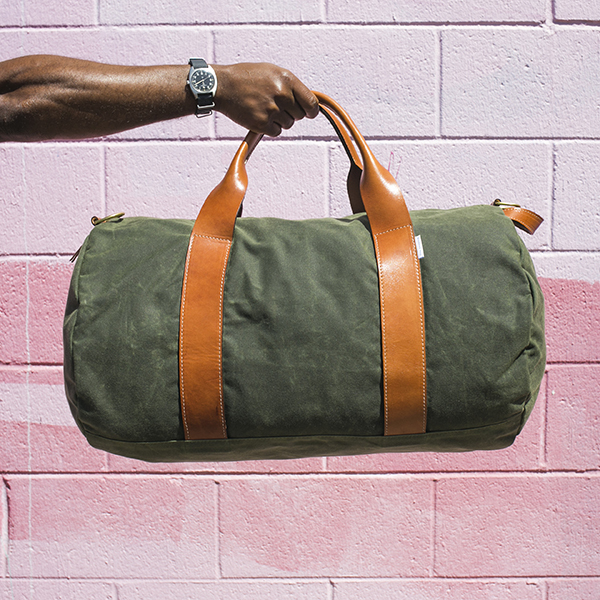 The second prize is a Voyager Waxed Weekender Bag by BoardingPass. 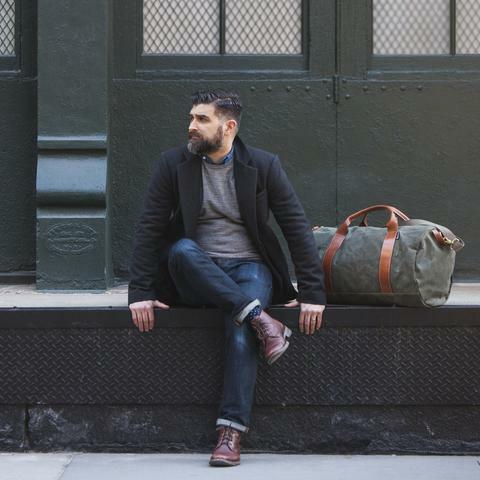 Boarding Pass is a New York-based travel brand. 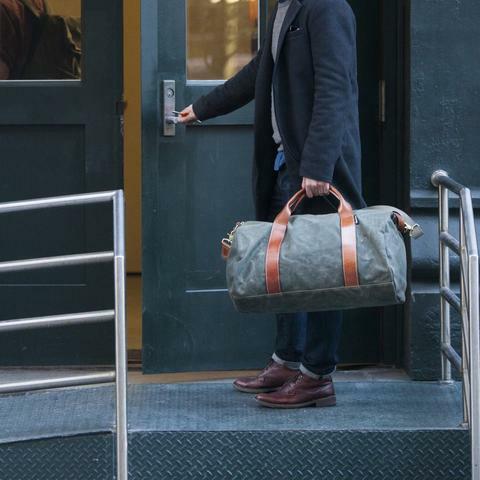 All their products – from their luggage tags, to weekender bags and duffel bags, are all designed and made in the United States. What I love about their bags is they have a relaxed yet classic look that goes well whether you’re travelling for work or leisure. In order to enter my birthday giveaway, I just need some teeny bit of love and support. My YouTube Channel is way older than Holy Smithereens. 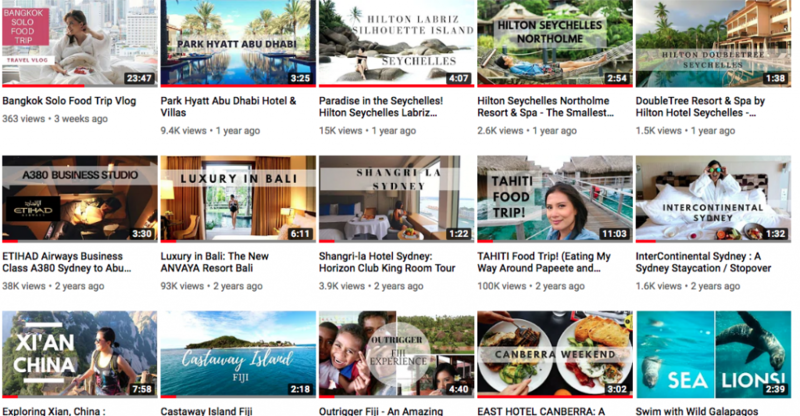 Because words simply aren’t enough to showcase experiences and travel! They say that being famous on Instagram is basically the same as being rich in Monopoly. If that is the case, I’m along Vermont and Indiana Avenue kind of “rich” and still need a long way to New York Avenue. 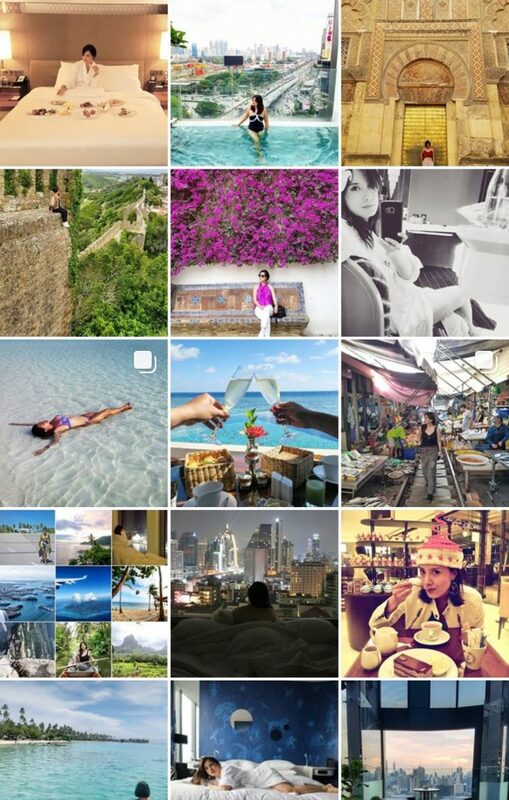 I sometimes divulge way too much on my captions anyhow, so it’s worth a follow if you want a good non-IG perfect travel monologue. Where would you like to go on YOUR birthday getaway and why? and you must indicate your location and which giveaway item you’d like ( please remember, the weekender bag is for US entrants only). This giveaway closes on the 28th of March. Winners will be announced – on IG Stories and Facebook (and as an update in this blog) on the 28th of March 2019. This is not a game of chance. 2 winners will be chosen based on answers. 1 winner for the Prada Sunglasses (worldwide), and 1 winner or the Boarding Pass Weekender bag (for US-based entrants only). The winners must agree to have their names and answers published in this blog and on IG stories and Holy Smithereens’ Facebook page.